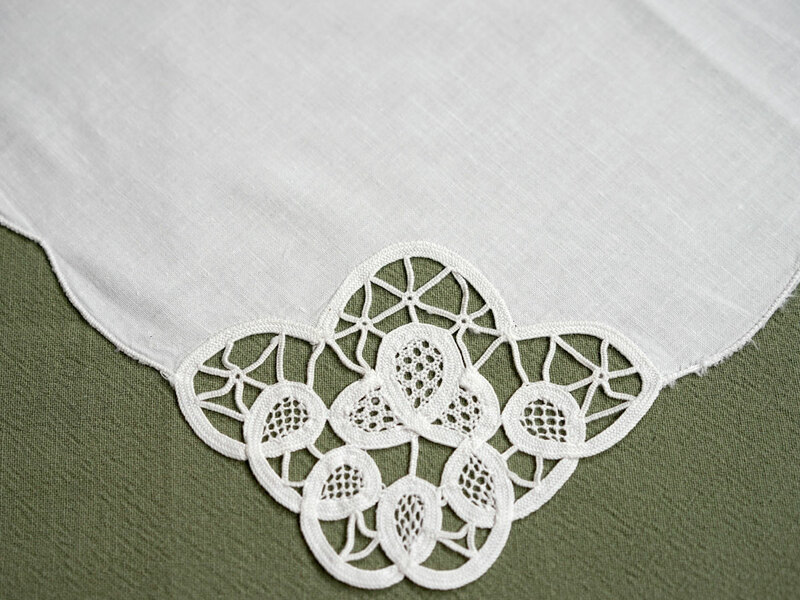 Adorned with an abstract tulip, these cutwork lace dinner napkins are just lovely. This set of 12 dinner napkins will certainly enhance your dining experience. 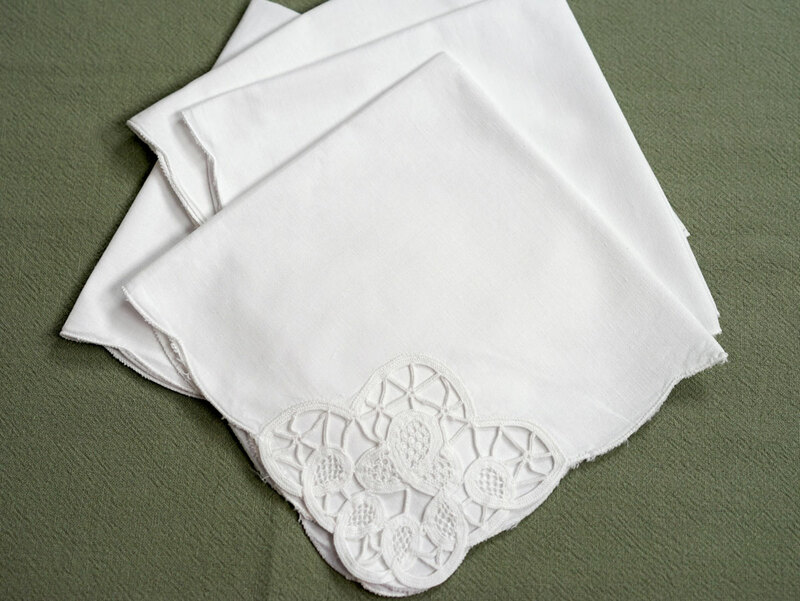 Each napkin measures 16" x 16" and is made of linen. Absolutely lovely! Be prepared to get many compliments!